US President Donald Trump has once again criticized the Democratic opposition, which he says does not want to win the country. At an event in the Latino business community in Washington, Trump said Democrats made a "big mistake" by not supporting tax reform that "brought companies back to the United States and with them more benefits to workers." "More than that, the Democrats do not support our infrastructure plan because they do not want to give that victory to the Americans," he said. Trump also blamed opponents for the lack of agreement on the immigration issue. For the president, it is the Democrats who do not want to resolve the standoff over the Deferred Action for Children Arrival (Daca). "Whoever asks for a solution for the Dhaka, I feel like saying 'go and pressure the Democrats,'" he said. 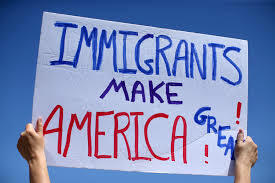 The US president also called for support from the Latino community around immigration reform that would aim to "protect the American population from poverty."